Our patient-centered medical home program has grown to 2,500 physicians at 770 practices around the state in its third year of operation. The program is the nation’s largest for the third year running, helping to improve the quality and delivery of health care for all Michigan residents. The growth in the program — the number of designated physicians has more than doubled since it began in 2009 — reflects significant momentum by physicians to bolster the primary care system, improve quality and make health care more effective and safer for patients. A deep dive into the data now shows our PCMH program is actually helping to lower unnecessary use of health care services that contribute to higher health care costs for everyone. What’s in it For Patients? If you’ve ever gotten sick and had to alternate visits between primary care doctors, specialists or hospitals, then you may know how frustrating the experience can be. A lack of communication between providers, duplicative services and a sense that no one’s paying close attention to your health unfortunately are common features of the patient experience. And that’s a big part of why we think the patient-centered medical home model is so important for the future of health care. The PCMH model lets pediatricians, internists and family practice physicians spend more time with individual patients to keep them healthy, coordinate their care among different providers and offer services and capabilities that typically aren’t available at most doctor’s offices. What About Wellness and Preventive Care? Designated doctors must also clearly communicate the roles of both the physician and patient, develop patient registries to track and monitor progress and work with patients to set individualized health goals, track appointments and ensure follow-up on needed services. Designated PCMH doctors are also working to develop more advanced capabilities, like coordinating referrals to specialists and providing them with all relevant patient information and providing patients with an online portal that allows them to access their medical information electronically. With Michigan ranked as the 10th most obese state in the nation, many metro Detroiters are looking for a life-changing experience. Something that will boost their self-esteem and improve their health. But for many, making changes to diet and exercise is a constant challenge. 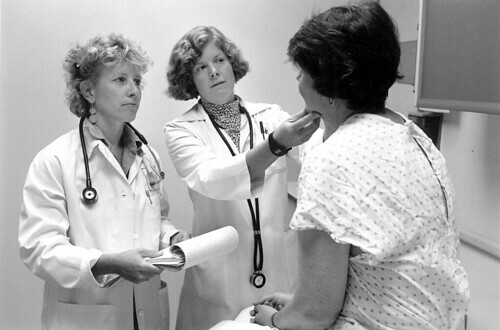 Blue Cross Blue Shield of Michigan is committed to improving the lives of Michigan residents. That’s why we’re excited to announce the return of the Biggest Loser: Detroit Edition. For the third straight year, Blue Cross is partnering with WDIV-TV and The Parade Company to help metro Detroiters take the first step toward adopting a healthier lifestyle. Applications are being accepted now through July 27. Based on the national version, Biggest Loser: Detroit Edition will include six metro Detroiters that will participate in activities such as weekly weigh-ins and physical challenges. WDIV-TV will be there to capture the excitement and broadcast stories about the contestants and post videos on their website. Each contestant will have their own Blue Cross health coach that will offer them proper diet and exercise tips and of course, give them an extra boost of motivation when they need it most. In the past two years, 12 contestants from metro Detroit have changed their lives by losing nearly 500 pounds while participating in Biggest Loser: Detroit Edition. Just ask the previous winners. – Biggest Loser: Detroit Edition 2009 winner Marilyn Kluka. Stay tuned to the official Biggest Loser: Detroit Edition III website and Blues Perspectives for upcoming blogs and updates. With about half of its 3,000 workers slated to move downtown already working in the Renaissance Center, Blue Cross Blue Shield of Michigan is playing an active role in efforts to revitalize Detroit. This relocation of 3,000 workers from a suburban Southfield location will bring the company’s total workforce to approximately 6,000 total once the move is completed later this year. Tricia Keith, vice president, Corporate Secretary and Services at BCBSM, spoke about the effort she is spearheading to transfer employees from Southfield to downtown Detroit at Transformation Detroit, a three-day briefing with local and national journalists and bloggers hosted by the Detroit Regional News Hub. Keith appeared on a panel discussing efforts to revitalize the city with Allan Gilmour, president of Wayne State University, and Robert Riney, president and chief operating officer of Henry Ford Health System. Keith recounted how, during a senior leadership meeting in 2008, with the economy souring and uncertainty over Detroit’s auto industry mounting, CEO Daniel J. Loepp asked her to look into the idea of relocating the company’s Southfield campus to the RenCen, where General Motors had made a number of improvements. Keith said the company faced “major hurdles” in announcing the move to Southfield-based employees, some of whom had avoided setting foot in Detroit for years. So officials decided to approach the move from a socialization and change-management perspective. In addition to winning positive reviews from employees who toured their soon-to-be-new workplace, vendors embraced the news enthusiastically. BCBSM shared demographic data freely with developers, Keith said. A gourmet deli located in the RenCen Towers 500 and 600 “was ready to leave” until learning of Blue Cross’ plans to move in, she said. Instead, the Blues move will push the RenCen’s occupancy to 92 percent and add $180 million in incremental tax revenue for Detroit when completed in April 2012, Keith said. “Every day now, we’re going to have the opportunity to put 6,000 employees on the streets in a three-block radius in Detroit, and think about how that will fundamentally transform the opportunities in retail, in so many things in terms of public perceptions of safety and everything else,” she said. Gilmour spoke about the importance of major universities and partnering health care institutions to the recoveries of major U.S. cities. He said Wayne State benefits from having “good neighbors” in many of the city’s cultural institutions as well as Henry Ford and the Detroit Medical Center and noted the Midtown neighborhood it calls home has given rise to new businesses open and renovated lofts and apartments. “Despite what you hear the politicians are doing and the mayor is doing, I would argue that we are making progress,” he said. Meanwhile, Henry Ford is moving aggressively in its efforts to redevelop 300 acres near its anchor hospital campus on West Grand Boulevard, Riney said. The health system has identified Detroit’s economic transformation as one of its top five goals and has an ambitious plan to transform the blighted area into retail, housing and medical office development. Henry Ford, Wayne State and the DMC are also offering financial incentives to encourage employees to move to Midtown. “I’m a big believer in the tipping point and I believe we are hitting a tipping point,” Riney said. Blue Cross Blue Shield of Michigan President and CEO Daniel J. Loepp threw out the ceremonial first pitch and Blues employees pitched in on the grounds crew and by singing “Take Me Out to the Ball Game” as the Detroit Tigers took on the Cleveland Indians last week at Comerica Park. The Tigers offered up nearly 3,000 tickets to Blue Cross to welcome employees who are moving to downtown Detroit. PAWS, the Tigers’ mascot, led employees on a walk to the park before the game from BCBSM’s Lafayette Boulevard headquarters. Blues employees met Tigers announcers, put out the bases, exchanged lineup cards and announced the starting lineup. Nikki Thomas, a secretary in Corporate Communications and a vocalist in her free time, was nominated by her coworkers to sing the National Anthem. Tools like the health reform website and GlidePath solution can help employers prepare for changes coming under federal health care reform, Blue Cross Blue Shield of Michigan spokesman Andrew Hetzel said during an appearance on metro Detroit’s WDET-FM. The Craig Fahle Show, a local affairs program hosted on the Detroit public radio station, invited Hetzel to come behind the mic during the Mackinac Policy Conference last week for a show that aired June 6. Hetzel, the vice president of Corporate Communications for BCBSM, discussed how the company is helping employer groups prepare for the implementation of federal health care reform. He also updated listeners on the progress of moving 3,000 workers from the suburbs to downtown Detroit. Hetzel: GlidePath is aligned with our longstanding support for business. And what it is, is it’s a set of analytic tools and some online tools that we’re piloting this year with some of our group customers. What we’re going to try to do is put them all together and launch them to the marketplace on Jan. 1 of next year. And what they’re going to allow group customers to do is plan for the implementation of health care reform. Hetzel: Businesses have a lot of things to consider when it comes to how to structure benefits in a reform environment. There are a lot of considerations related to cost, the level of benefits provided and frankly, what their employees are looking for. A lot of employers are looking at defined contribution models, 401(k)-type models for financing health care that limit their own costs. That’s going to put a lot more pressure on employees as far as cost sharing is concerned. So businesses want analytic support from experts to be able to construct what’s best for their employees. You can hear the rest of the segment here. The Craig Fahle Show airs Monday through Thursday from 10 a.m.-noon and again at 7-9 p.m., and on Fridays from 10 a.m.-11:30 a.m.
Editor’s note: This piece was originally published in the Mackinac Policy Conference edition of the Michigan Chronicle. Building a stronger body starts with developing the core muscles at the center of the body. The same holds true for building stronger metropolitan regions — developing the core urban center allows for stronger, more sustainable regional economies. At Blue Cross Blue Shield of Michigan, we believe that one of the keys to Michigan’s economic recovery is doing what we can to strengthen our cities. By making our cities places of prosperity, we make the regions around them more competitive and hospitable to future growth. Our company’s relocation of nearly 3,000 workers from the Detroit suburbs into the Renaissance Center is one of the ways we are seeking to strengthen not just the City of Detroit, but the region as well. With nearly 6,000 Blue Cross workers in the downtown business district by 2012, we hope to create the critical mass that attracts other companies to Metro Detroit from outside the region and the state. Other companies — notably Compuware and Quicken Loans — were early leaders in moving workforces into downtown Detroit. As more companies follow, we hope other businesses take notice that Detroit is, in fact, open for business. The urbanization of Blue Cross’s workforce has been accelerating recently. In fact, by 2013, 97 percent of our statewide workforce will be located within the downtown cores of Michigan’s largest cities — Detroit, Lansing and Grand Rapids. This has many strategic benefits to the Blue Cross enterprise. It will help us run our business better and realize significant cost savings at a time when both the competitive climate is more complex than ever and the cost of health care remains a leading concern for all our stakeholders. Our efforts also have major positive impacts for the cities in which we are investing. Earlier this spring, Accident Fund Holdings, Inc., a BCBSM subsidiary, moved 620 employees into a gleaming new headquarters along the Grand River in downtown Lansing. This move came as a result of renovating a historic, but dilapidated power station in the heart of the city. It was a massive undertaking fueled by partnership across the public and private sectors. It gave Accident Fund room to grow by a projected 500 employees over the next decade. As a result, Accident Fund’s downtown Lansing office building became vacant — so Blue Cross is moving in our workers from the suburbs. By the end of these moves, BCBSM will have more than 260 of our employees in downtown Lansing. Added to Accident Fund’s employee base, the BCBSM enterprise will eventually total more than 1,300 workers in Lansing’s central business district. Our ability to make these investments in Detroit and Lansing began seven years ago when BCBSM renovated the old Steketee’s Department Store in downtown Grand Rapids and made it our West Michigan headquarters. Again, we moved our workers into the city center from suburban locations — and strengthened a key part of downtown Grand Rapids just as it was turning a corner. The area is now thriving. Consolidation of our workforce in Michigan’s core cities will bring thousands of additional full-time jobs to those cities, while also adding millions of dollars in wages as well as property and income tax revenues. Our most recent action in Detroit, for example, will bring $180 million in BCBSM annual payroll into the city and add more than $3 million to the city tax rolls. In our renovation efforts alone, we are bringing $25 million in wages to Detroit and a significant portion of that will go to minority suppliers. 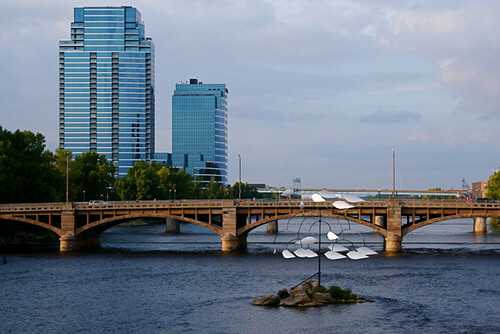 As the Detroit, Grand Rapids and Lansing regions market themselves as viable destinations for companies looking to establish a presence in Michigan, they can now point to their downtowns as more vibrant, more enticing places. Blue Cross Blue Shield of Michigan runs its business with a Michigan conscience. We want our state to grow and succeed, and we are proud to join other Michigan-based companies that believe vibrant urban centers are key to the growth and prosperity we all seek. Daniel J. Loepp is president and chief executive officer of Blue Cross Blue Shield of Michigan and chairman of the Blue Cross Blue Shield Association national board, which represents 39 Blue plans covering nearly 100 million Americans. Photos by ifmuth and stevendepolo. Imagine your loved one has a certain chronic condition. When a doctor asks whether she’s had an MRI recently, your loved one says “no” because she doesn’t remember receiving one — even though she just had one two weeks prior at another doctor’s office across town. Let’s say there was also a prescription for follow-up care, but she never received that, either. Maybe she was also prescribed medication, but the prescription was never filled at the pharmacy. Without a centralized record, this person might theoretically receive the same test over and over without ever following up with subsequent treatment or medicine the doctor feels is necessary. She may feel she’s doing everything in her power to do what the doctor instructs, but the record may tell another story. What many healthy people often don’t realize is how much time and attention to detail it takes to manage your own health care when problems arise. It’s not uncommon for several different doctors to prescribe multiple medications, tests and follow-up care. Without a centralized medical record, many don’t even realize the treatment they’re receiving is a duplication of effort. That redundancy adds to the already high costs of obtaining health care. Information technology has the potential to give doctors and providers of medical care a much more complete picture of the patient in front of them, and patients a much easier way to access their complete medical history. That’s why Blue Cross Blue Shield of Michigan was proud to be a sponsor of the Wiring Michigan Conference, a health information technology symposium held last month in Ypsilanti. Our Patient-Centered Medical Home program is one example of how we’re persuading providers to adopt health IT. Our PCMH program, the nation’s largest at 1,800 designated physicians, encourages doctors to implement information technology such as e-prescribing into their practices as one way to improve quality, open up access to care and help manage costs. E-prescribing — The Blues have collaborated with large customers and industry leaders to lead on electronic prescriptions. Physicians who use electronic prescriptions can view patient records, confirm medications and dosages listed on formularies and know what medications have already been prescribed by other doctors. E-prescribing helps eliminate problems with illegible penmanship, reduces pharmacy staff time and avoids paper waste. Michigan ranked No. 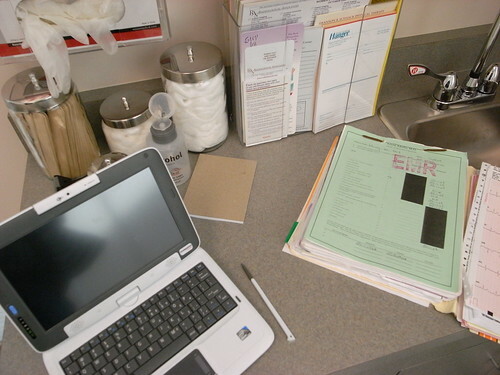 2 nationally for the number of e-prescriptions filled in 2009, according to Surescripts. Electronic transactions — BCBSM since 2008 has been helping business partners and providers prepare for the 2012 deadline to implement EDI 5010, a new, federally mandated electronic transaction standard. The changes will enhance business functionality, clarify data ambiguities and support the new National Provider Identifier number required under the Health Insurance Privacy and Portability Act. New ICD-10 medical code set — With the rise of electronic medical records, e-prescriptions and connectivity between providers and specialists, the Blues have responded nimbly to maintain market leadership. For starters, the company is on track for early implementation of ICD-10 medical code billing standards, which will provide greater ability to measure health care services and monitor population health, provide better data and cut down on paperwork when submitting claims. Our process for associating the new codes in our systems have been featured at national forums and adopted by other insurers. We’ve also made our solution available to other health care entities to keep implementation costs down. When approached with the subject of technology in health care, you might think of expensive diagnostic tools and cutting-edge procedures. But what you may not realize is that information technology — the kind of information systems we use at home or at work to track multiple projects or household expenses — can be used on a wider scale to make health care more efficient, safer and maybe even less expensive for everyone.